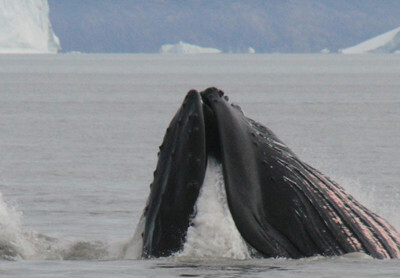 Ilimanaq - Claus havn, settlement with a view to whales passing by. With only 53 inhabitants, a tour of such a small settlement is quickly over. However, the surrounding hinterland is a lovely natural area, ideal for walks along the coast. 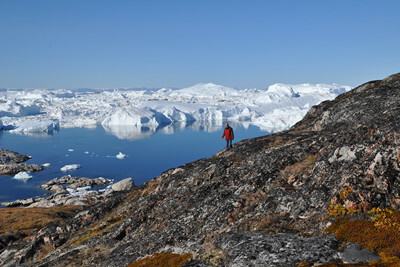 You can also enter the Tasiusaq fjord system, which is located between Ilimanaq and the Inland Ice, where one of the two ‘Døde Bræer’ can be reached. 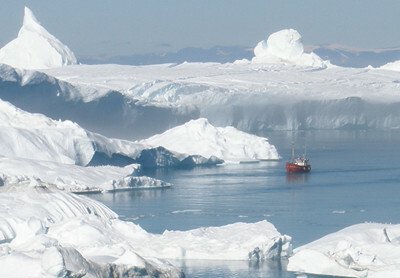 The sailing from Ilulissat to Ilimanaq takes approx. 1 hour (depending on the ice quantity in the fjord) and is an outstanding trip. 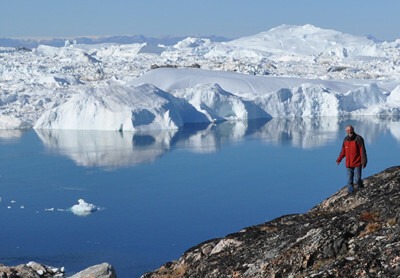 The boat cruises past the fjord of Kangia - Ilulissat Icefjord, so you sail quite close by the icebergs which made the place world famous, and secured a deserved place on UNESCO's World Heritage List. Ilimanaq means "expectation" or "probably" in Greenlandic. On this trip you can expect a lot of tales about the hunting culture, which is an important part of everyday life in Greenland. The local village residents 'Ilimanarmiutterne' invite you to coffee and cake and a little taste of Greenlandic produce, which the family has caught. Kaffemik is a local tradition when there is something to celebrate, such as birthdays, confirmations, weddings, returning family or the arrival of friendly tourists such as you! 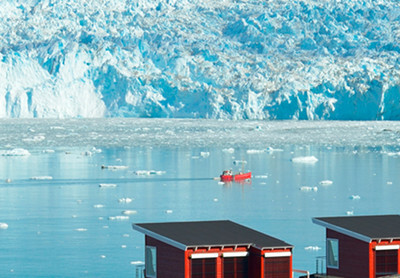 This is a great way to get a peek into a Greenlandic home and perhaps make some new friends. Meet your guide in front of the restaurant. The tour starts with a little information about the walk and programme of the day. We have some good hours of hiking in front of us and will start by walking up to the hilltop, north of the city. 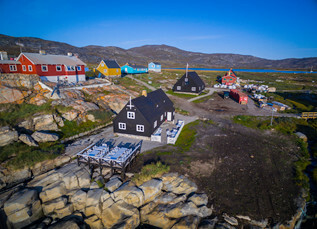 You’ll be blessed with magnificent views over Disko Bay and Ilimanaq's colourful village houses. It will not take long before the guide shows you remnants of the old Thule culture, as you stand next to one of the many hidden graves where there are still skulls and bone pieces hidden between the stones.